Dave and I rarely get to go out for date nights because we have a hard time finding babysitters, plus there isn’t really anywhere to go out to anyway. 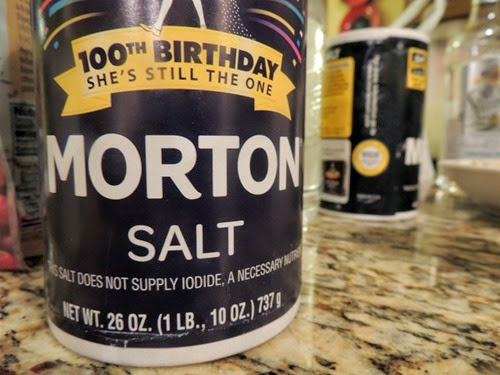 Because of this, we decided to have a date night at home, and thanks to the Morton Salt Girl’s 100th birthday we had recipes to try and salt to use for our celebration. 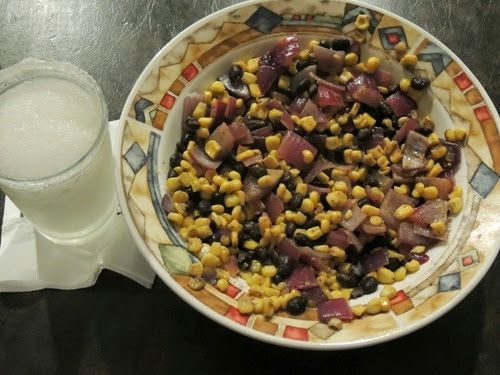 Dave made us margaritas and I made an awesome corn and black bean salsa! 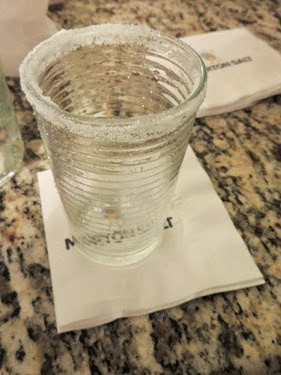 To add salt to the cup rims, rub the rim with a slice of lime and then roll the cup in a bowl of salt. 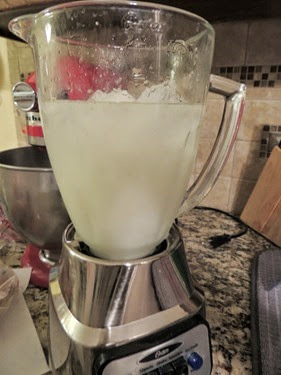 I love my margaritas with salt! Heat olive oil in skillet over medium high heat. 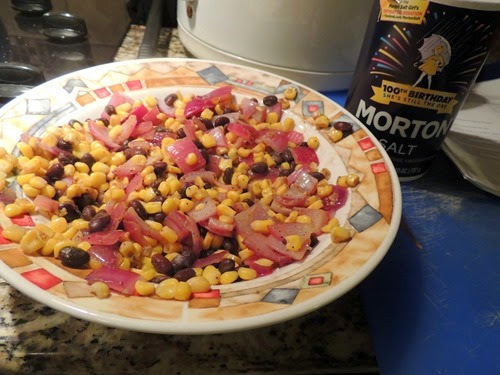 Add corn and saute for 2-3 minutes. Add onion and beans and continue to saute for another 3 minutes. Remove from heat and transfer to a bowl. Add lime juice, mustard, salt, and pepper and mix well. Allow to cool and serve with chips! Do you enjoy at home date nights? Thank you to Morton Salt for a selection of Salty goodies. I did not receive compensation for this post and all opinions are my own!